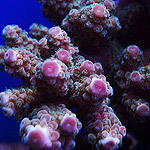 reefphilippines.com • View topic - what is the hardiest and easiest SPS to take care of? sir, ask ko lang.. gusto ko kasing mag try mag SPS hehe. trip na trip ko ung monti capri.. madali bang alagaan un? or ano ba ung pinaka ok na i-try? salamat sa mga reply ninyo. Re: what is the hardiest and easiest SPS to take care of? IMO milleporas, capricornis, some common acros. pero basta sps kailangan optimal ang quality ng water. "Educating one hobbyist at a time"
"Perfection is encouraged, but excellence will be tolerated." Location: Near the boxed reef. may tinry ako sps pero di ko alam kung ano ito.. kukunan ko ng picture.. 4 days na sakin medyo ok naman. sana di majinx... gusto ko sana mag try nung montipora capricornis.. hehe. ano po bang tip niyo pag SPS? katulad dun sa 9.9gal sps tank mo sir. pag sps dapat zero nitrates and phosphates.. hirap pakulayin ng wild caughht.. i hAven't tried any aquacultured yet.. so i dont know.. i have a brown monti capri frag if you want..
obet_carlos wrote: pag sps dapat zero nitrates and phosphates.. hirap pakulayin ng wild caughht.. i hAven't tried any aquacultured yet.. so i dont know.. i have a brown monti capri frag if you want..
+1 ... maximum PO4 is 0.05, thats when you start losing colors. anything higher than 0 nitrates you lose colors too. all of my SPS are wild caught and fortunately theyve retained their colors. some colored up even better. malaking factor din IMO is temperature? Probably most of the sticks are "hardest". Encrusting are "easiest".